Rob Paulsen as Donatello (purple mask), Sean Astin as Raphael (red mask), Greg Cipes as Michelangelo (orange mask), and Jason Biggs as Leonardo (blue mask), in TEENAGE MUTANT NINJA TURTLES on Nickelodeon. Photo: Frank Micelota/Nickelodeon. ©2012 Viacom, International, Inc.
Lin M, Kylee C, and Jordan C! Congratulations! You have each won an autographed copy of Teenage Mutant Ninja Turtles: Rise of the Turtles ! Thank you to everyone who submitted. 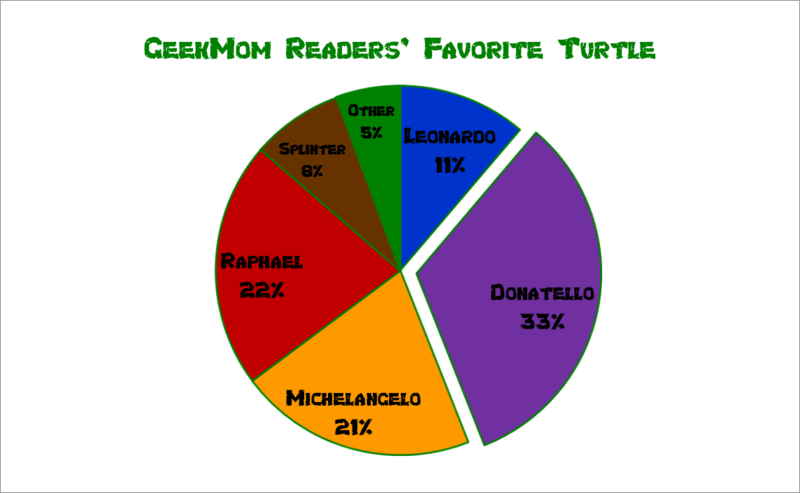 It was obvious after the first few days that Donatello was the most popular turtle with our readers. It’s a dead give-away in my opinion because this is GeekMom and Donatello is the head geek of the group. I guess if this was PartyMom or LeadershipMom, we might have seen a different outcome on the favorite. I have to say, after talking with Gregory Cipes, I was really rooting for Mikey to beat out at least Raphael. I was very surprised by the lack of love for Leonardo though. I guess being the leader isn’t always the most likable position. Some of the other character favorites were Splinter, April, Shadow Jones, Shredder, and Casey Jones. Looking for more Turtles fun? Check out my interview with Hoon Lee (Master Splinter), Kelly Hu (Karai), and Gregory Cipes (Michelangelo). 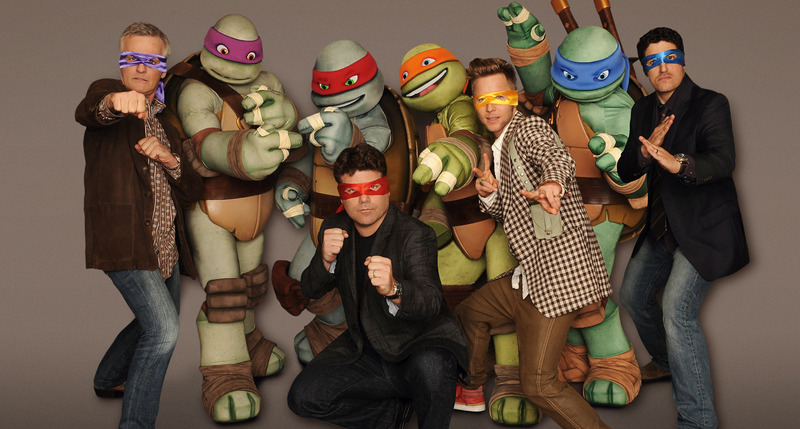 Teenage Mutant Ninja Turtles airs Friday nights on Nickelodeon.